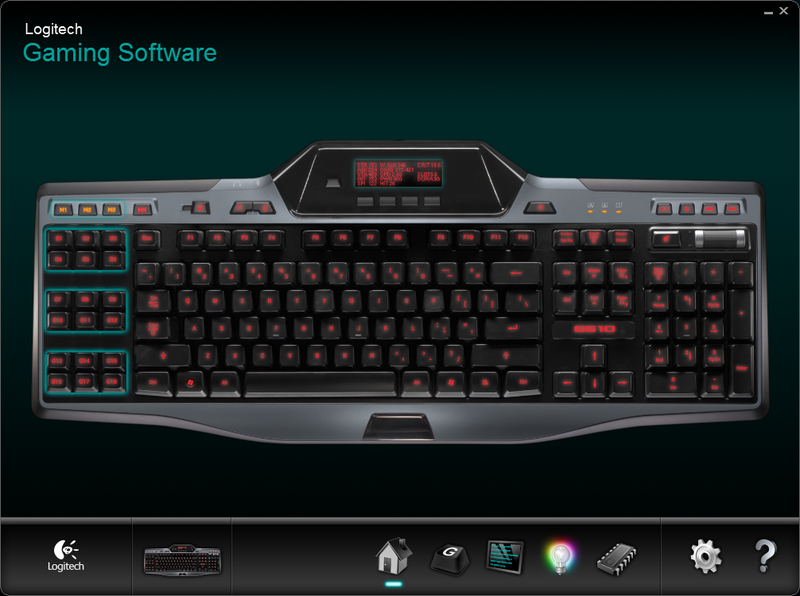 Evolved from the older G15 and G19 keyboards. 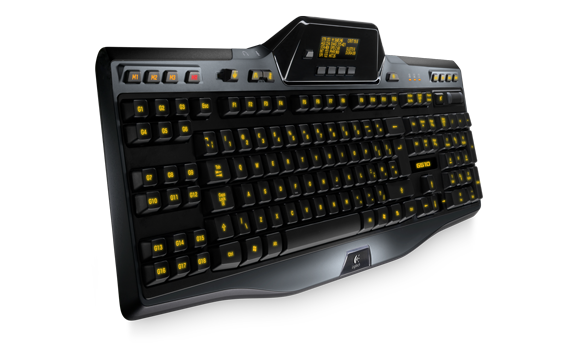 The G510 shares a lot with its little brother, the G110 keyboard in terms of features and layout. 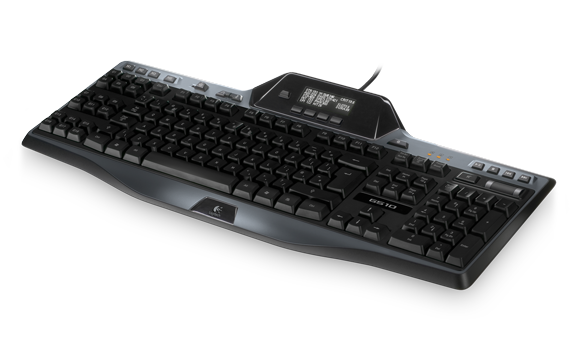 The G510 has 18 programmable “G-Keys”, Windows-Key lockout switch (to stop the accidental the “oh,fck” moments when you hit the Windows-Key) and the most obvious – a 160×43 monochrome LCD backlit screen. 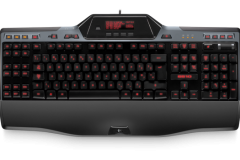 Phil mentioned, and I quote “For the LAN gamer, this backlit beauty of smaller proportion is worth considering as it isn’t expensive, can take it’s fair share of punishment, and is more likely to fit in a LAN bag and on a shared LAN desk space” – the G510 is bigger and bulkier than the G110 in terms of sheer size however the well moulded casing and integrated LCD screen can take its share of beatings as well; Phil’s comments reign true for the G510 as well. 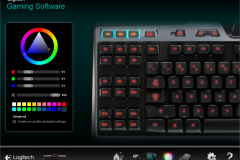 Don’t like white backlit keys? Use the colour-wheel and choose from a crazy 16M colours! To be honest, I don’t use the Integrated USB audio – I did use it during testing and its OK but it there is only room for 3.5mm jacks – no USB input. So the drivers have ended up disabled in favour of my Logitech gaming headset. The audio quality was fine – not as clear as a dedicated sound or as crisp but if you don’t have an existing card then it will do fine until you buy one! I love this keyboard. The keys spring back quickly and the keys are quiet. 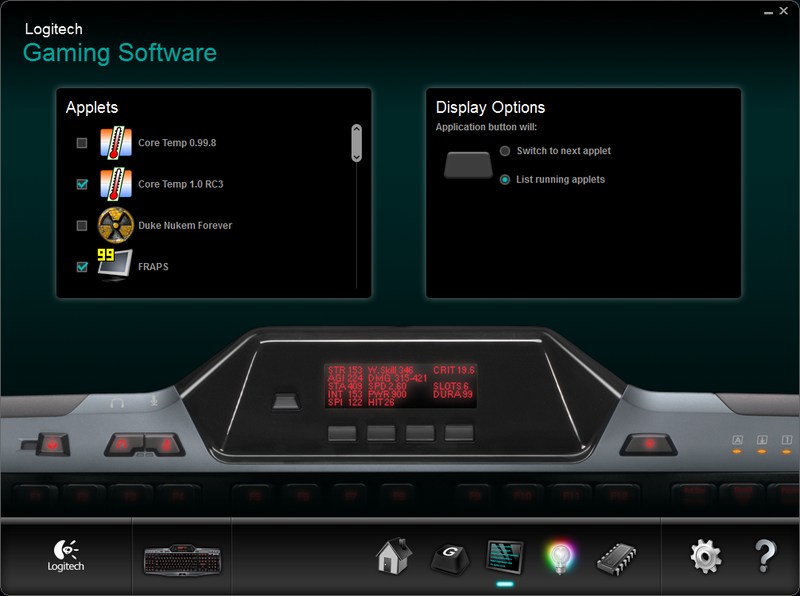 I love the backlit keys and LCD panel – especially when playing the dark for those geeky nights alone! 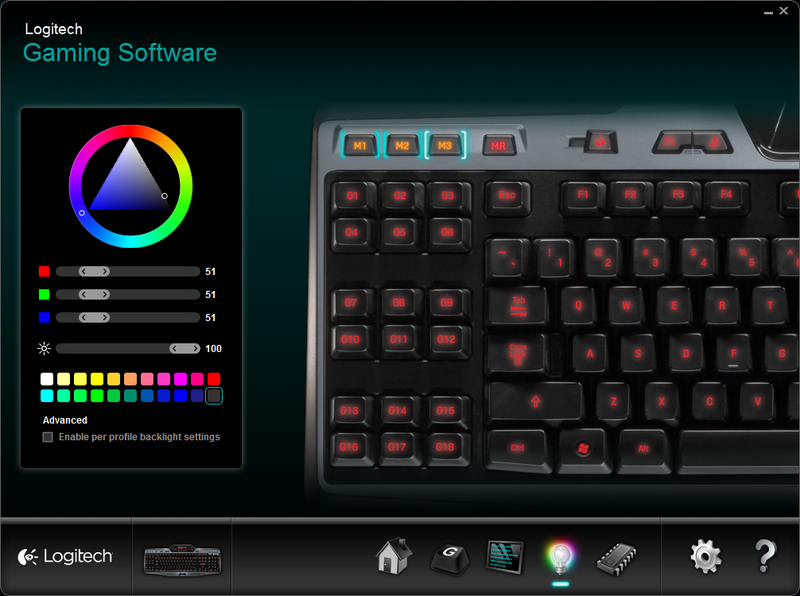 There is also a light button in case you don’t want any light and want stealth mode instead. 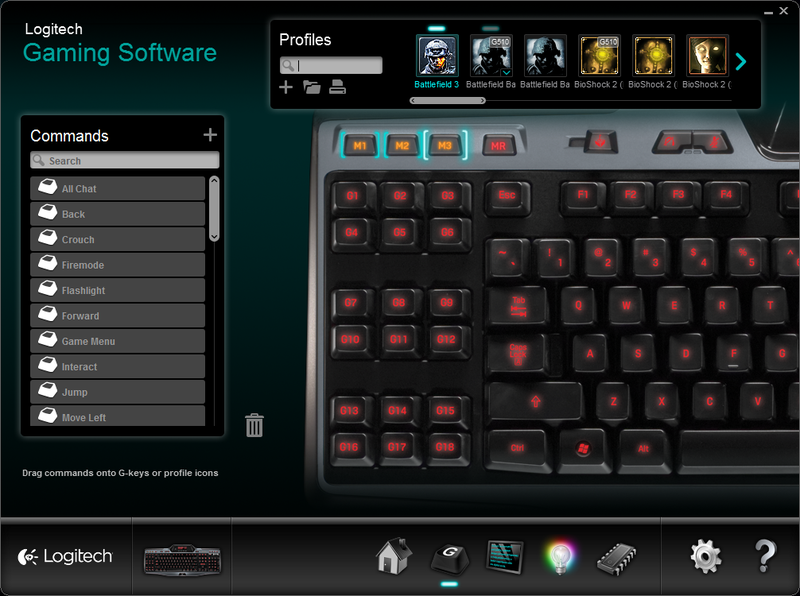 The keyboard cops a pounding in games like BF3 and Starcraft II and hasn’t faulted. The only annoyance is getting the correct applet on by default. 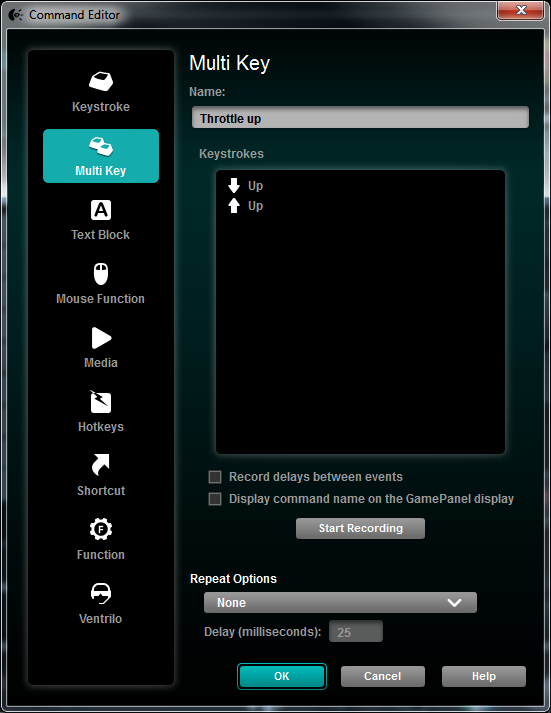 Installation of the applets is easy enough and when they do work the additional information and telemetry is where its at with this keyboard. 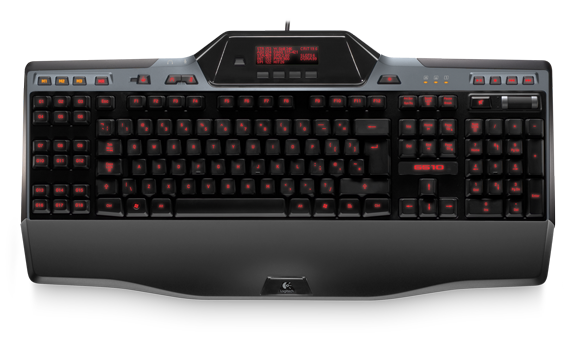 I considered if I’d ever actually use the LCD before I bought the keyboard, but I must admit – now playing games such as Battlefield: Bad Company 2 where I can see my ping, server information, level up information and player stats in front of me justified the price and the purchase. 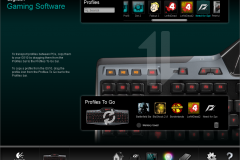 Thankfully, there is a community dedicated to keeping the applet development alive (Logitech Users Group) and together with Logitech’s updates make the keyboard as current as it was when it was released. 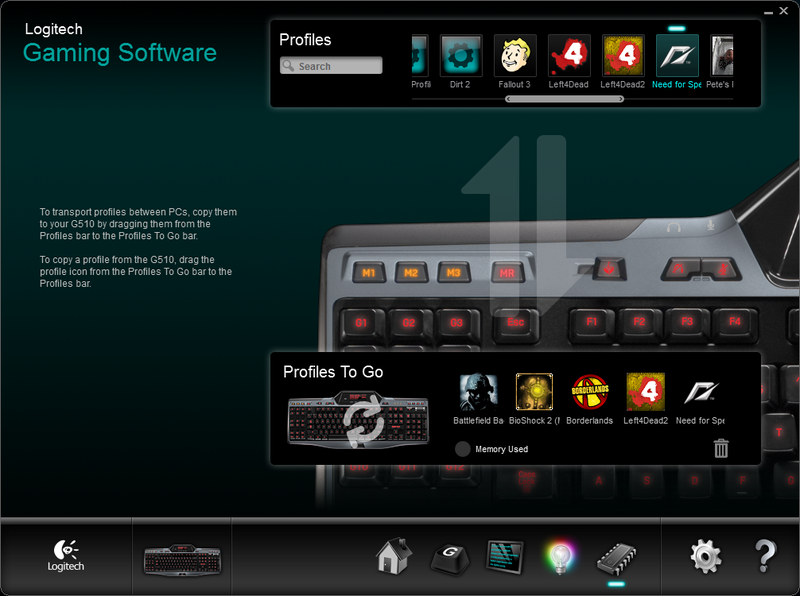 Battlefield 3 players are still waiting on a suitable applet that supports the LCD panel like for BC2; a profile does exist however its only for G-Key assignments. 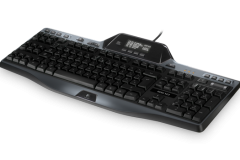 The lack of USB port is a shame however doesn’t detract from the keyboard itself – with or without USB this keyboard is every bit as functional as a gaming keyboard as you’d need. 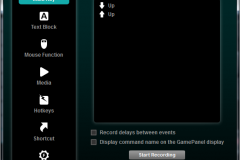 Managing applets within the Gaming Software application is pretty good. 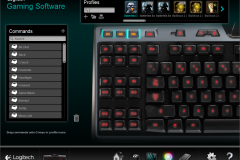 Button programing is easy for both the G-Keys and Macro keys. Navigating the applets on the LCD panel itself is a little clunky however is still effective. One slight niggle is I still can’t figuire out how to “default” an applet or even if its possible. The next question is, would I use all 18 of the G-keys? So far I’ve managed to program 14 of the 18 available G-keys with remote desktop, telnet and shortcuts – but to be honest, I can’t remember which is which so I tend to only use 3 for every day use. In gaming, I’ve only ever used a handful in games like BF:Bad Company 2 to switch between vehicle positions! But if you would use all 18 in a 3x multiplier then you can! 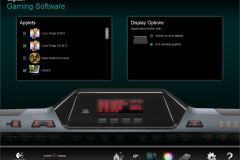 LCD for gaming profiles and WinAmp visualisations. 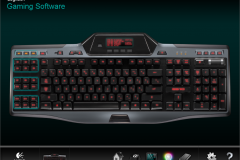 There are some small compromises with this keyboard – the lack of a USB port, the in-built USB Sound Card and no official Battlefield 3 applet. All that aside: I love this keyboard. 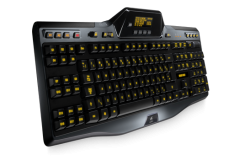 The G510 is a quality product and asked: would I buy it again if I had my time over – absolultey. It’s sleek, does everything it says on the tin and at around $110inc.gst its a bargain!